U.S. Senators Gary Peters (D-MI) and I recently introduced the Project Safe Neighborhoods Grant Program Authorization Act of 2018 to authorize a nationwide law enforcement program focusing on the reduction of violent crime. A companion bill sponsored by U.S. Representative Barbara Comstock (R-VA-10) unanimously passed the House of Representatives last month. For over a decade, Texas has successfully reduced crime rates, in part through state-wide law enforcement task forces initiated when I was Attorney General that focused on prosecuting the most violent and repeat offenders. Using the Texas program as a model, Project Safe Neighborhoods gives federal, state, and local law enforcement the support they need to take a proactive and collaborative approach to prevent violent crime in our communities. · Authorizes the Project Safe Neighborhoods Program for Fiscal Years 2019-2021 at $50 million—consistent with current appropriations levels. 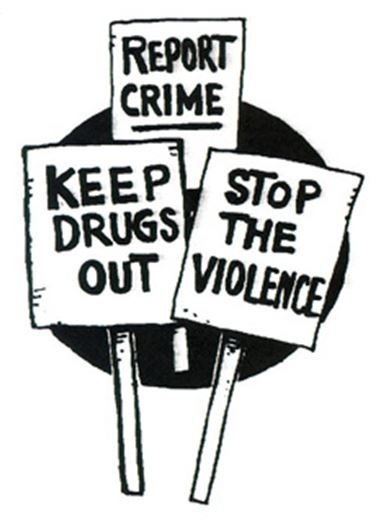 · Requires participating entities to creates and implement strategic plans to reduce violent crimes by focusing on criminal organizations and individuals responsible for increasing violence in a particular jurisdiction. · Prioritizes the investigation and prosecution of individuals who have an aggravating or leadership role in a criminal organization. · Strengthens evidence-based and data-driven intervention and prevention initiatives, including juvenile justice projects, street-level outreach, conflict mediation, the provision of treatment and social services, and improving community anti-violence norms. · Allows funds to be used for the Byrne Criminal Justice Innovation Program, evidence base programs to reduce gun crime and gang violence, community-based violence prevention initiatives, and violence education, prevention, and intervention programs.